Our Spring Raffle is one of various efforts to garner the revenue required to provide mobility scooters to our vets across the nation. Our hope is that you will find Cpmmander Ken's project MISSION: VETERANS MOBILITY of consideration and your support. Because of a disability, illness, or age, many of our nation’s veterans are experiencing mobility issues. Struggling with this daily and combined with the lack of social interaction it can lead to depression and other mental health issues for our vets. Additionally, many veterans do not qualify or are unable to take advantage of the usual venues for assistance. 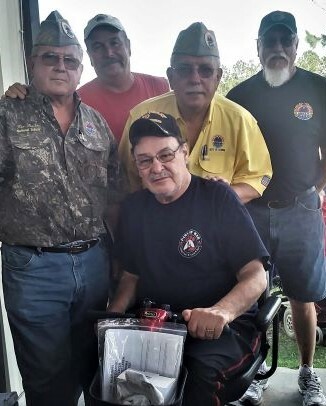 MISSION: VETERANS MOBILITY will be a collaborative effort of National Sons of AMVETS and our fellow Sons at the Department and Squadron level to provide mobility scooters to our veterans in need and improve their quality of life.